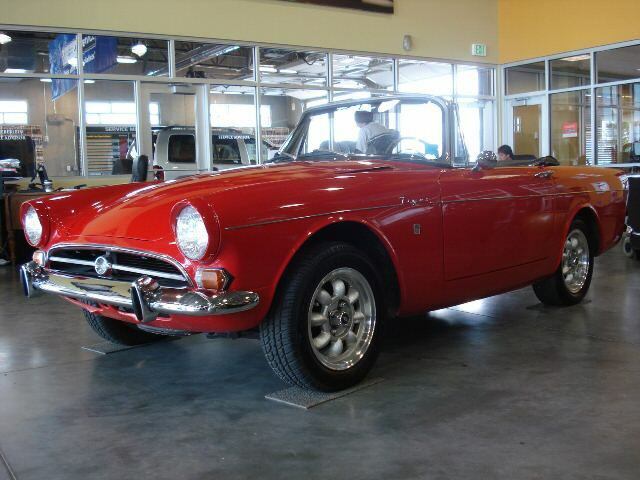 1967 Sunbeam Tiger. I just love these cars. I think they are currently very undervalued, and they have nowhere to go but up. They are just such a neat little factory built hot rod that is a lot of fun to drive. Carroll Shelby said that he would rather have a Sunbeam Tiger for a daily driver than a Cobra... That says something. This is a very nice original car that has been totally redone a few years ago with lots of documentation, receipts, and pictures. It was a very solid straight car to begin with with no rust or major damage issues. It is ready to drive anywhere, and a very good investment at $29900.